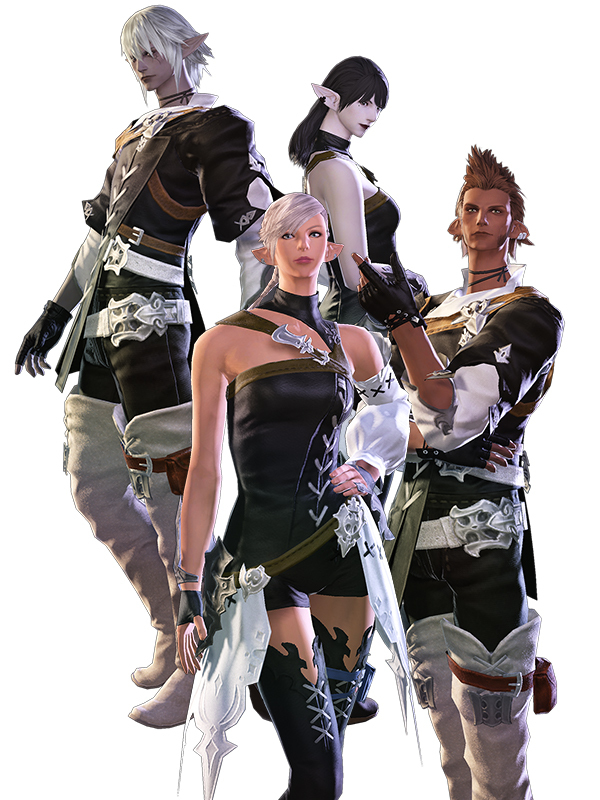 Over the course of some one thousand years and three great migratory waves, the Hyur have come to be the most populous of the civilized races in Eorzea. 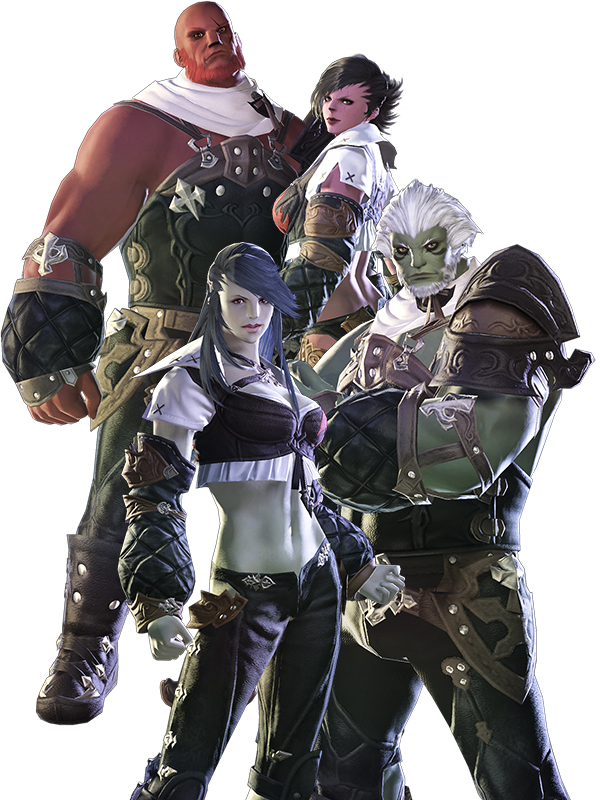 Compared to the others, theirs is an average physique, both in terms of height and build. 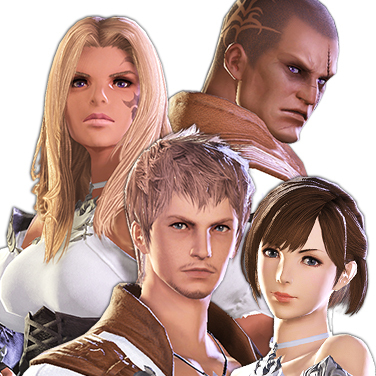 The Hyur champion personal freedom and liberty, and their espousal of an eclectic variety of languages and traditions is a legacy of their diverse heritage―as is their resulting lack of a unified cultural identity. 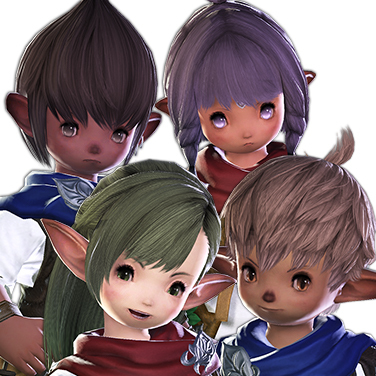 The Lalafell are a folk both rotund and diminutive. 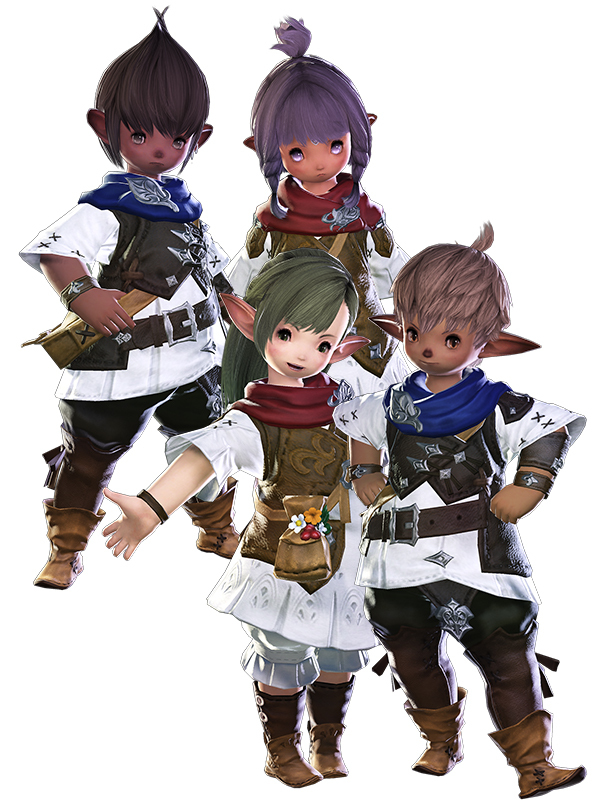 Small by any race's standards and possessed of a childlike countenance, it proves difficult for non-Lalafell to gauge an individual's age with any degree of accuracy. 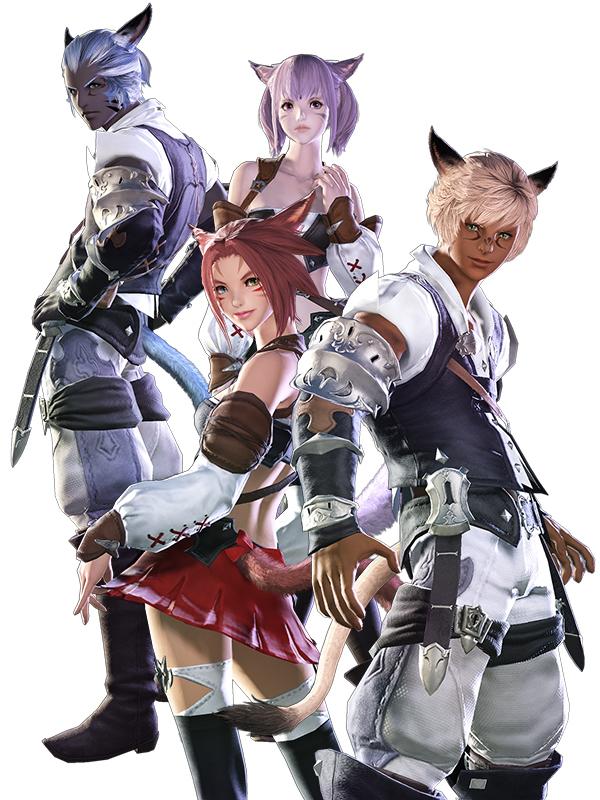 Originally an agricultural people inhabiting the fertile islands of the south seas, they found their way to Eorzea via the burgeoning trade routes. 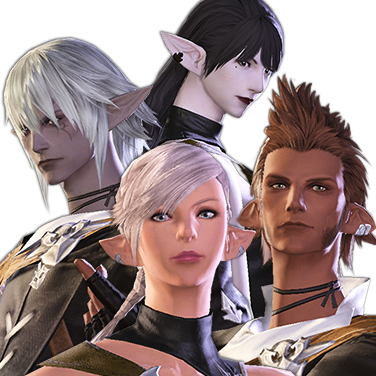 Lalafell are welcoming of outsiders, and share prosperous relations with all of the other races of Eorzea. 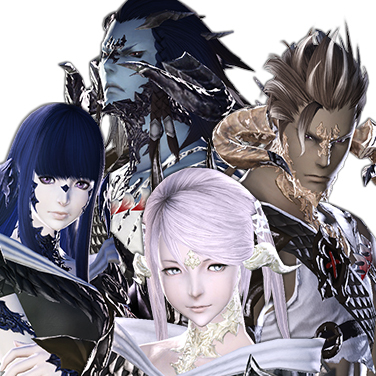 The curved horns and beautifully patterned scales that characterize the Au Ra oft give rise to speculation that this Hyur-like race native to the Far Eastern continent of Othard are, in fact, the progeny of dragons. 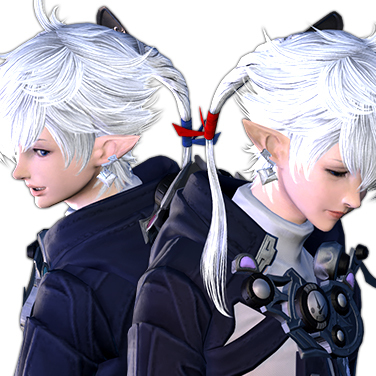 This, however, has long been disputed, with scholars citing several distinct differences in the two races as evidence of decidedly dissimilar roots─the first and foremost being the enhanced hearing and spatial recognition granted by an Au Ra's cranial projections (traits not attributed to draconian horns), and the second being the gross disproportion in body mass between Auri males and females (again, a trait widely unseen in dragons). A woman whose gentle eyes and caring demeanor conceal a steely determination. 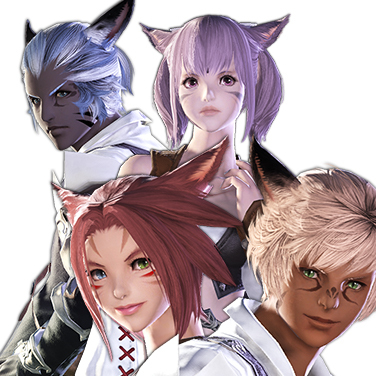 Amidst the chaos that reigns in the wake of the Calamity, Minfilia seeks to find a hero who will help to usher in an era of enduring peace. 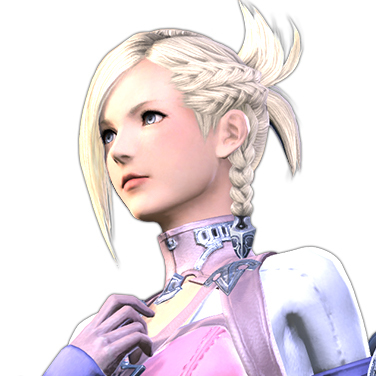 She is said to harbor a keen interest in preternatural phenomena. 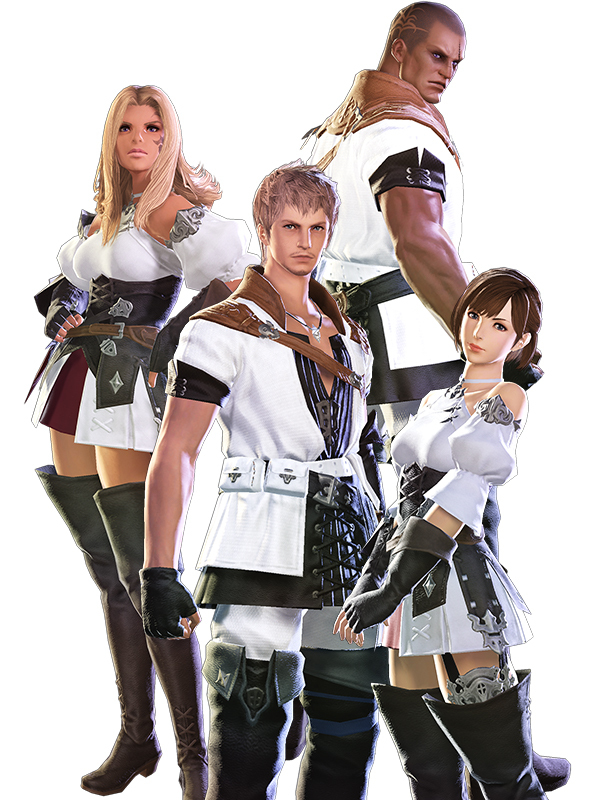 A self-assured young man and his strong-willed twin sister, recently come to Eorzea in pursuit of an unknown agenda. 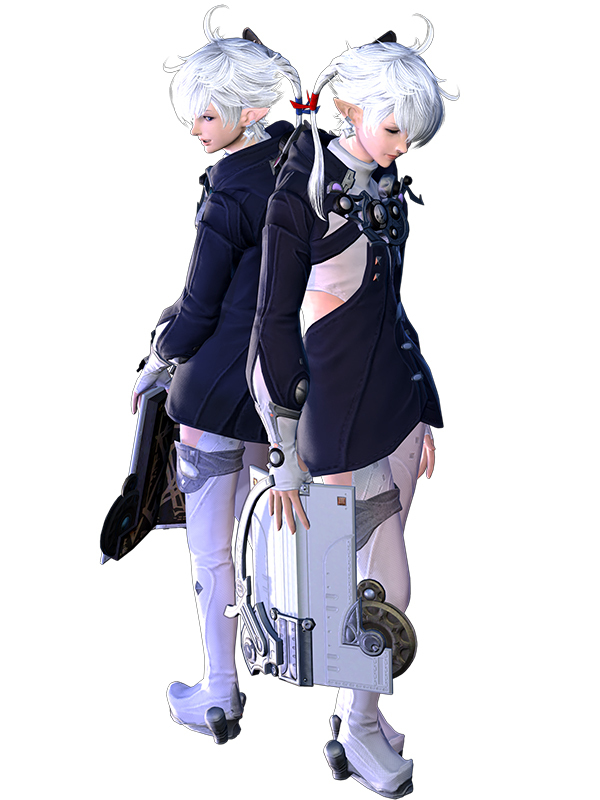 In spite of their tender years, the two carry themselves with an air of unwavering purpose. 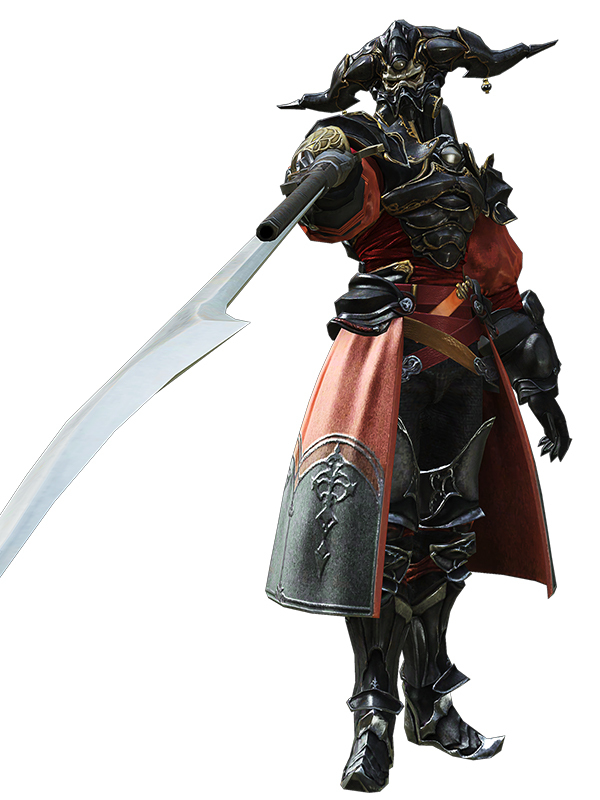 Legatus of the XIVth Legion, the imperial force currently occupying Ala Mhigo, van Baelsar is possessed of a natural flair for wartime command equaled perhaps only by his sensibilities as a governing administrator. Among his numerous accomplishments is the conquest of five enemy cities, the political conversion of which he also oversaw. 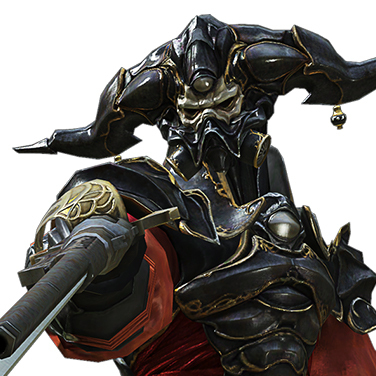 In subjugating Ala Mhigo, van Baelsar employed subterfuge to stoke the fires of civil unrest, a masterstroke which led to the nation’s capture without the need for a protracted siege. 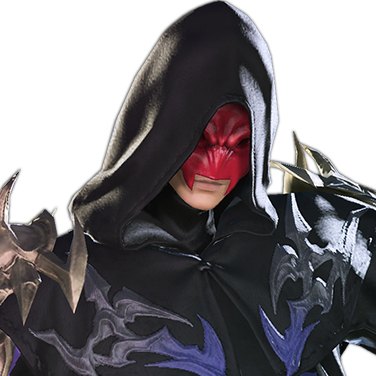 However, the unanticipated appearance of a primal shortly thereafter prompted the Empire to halt the legion’s advance. 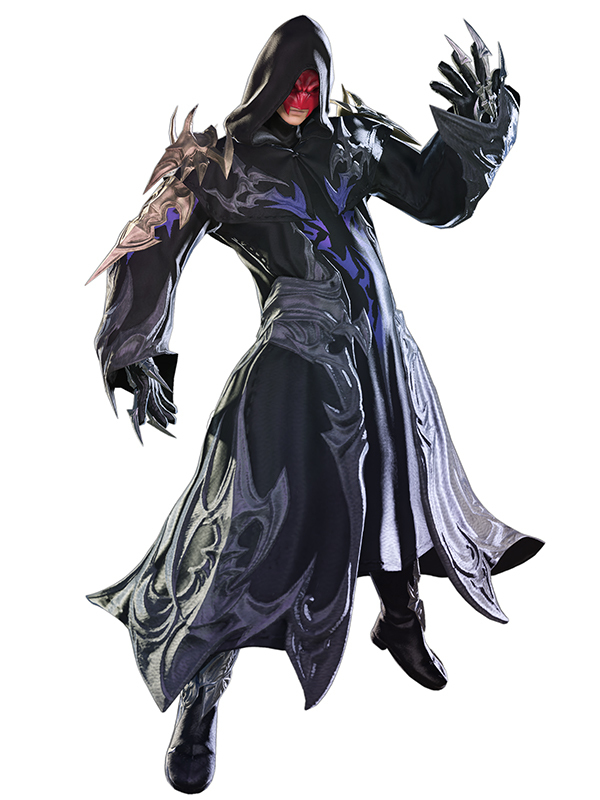 The legatus has since remained in Ala Mhigo, where he rules as an imperial viceroy. 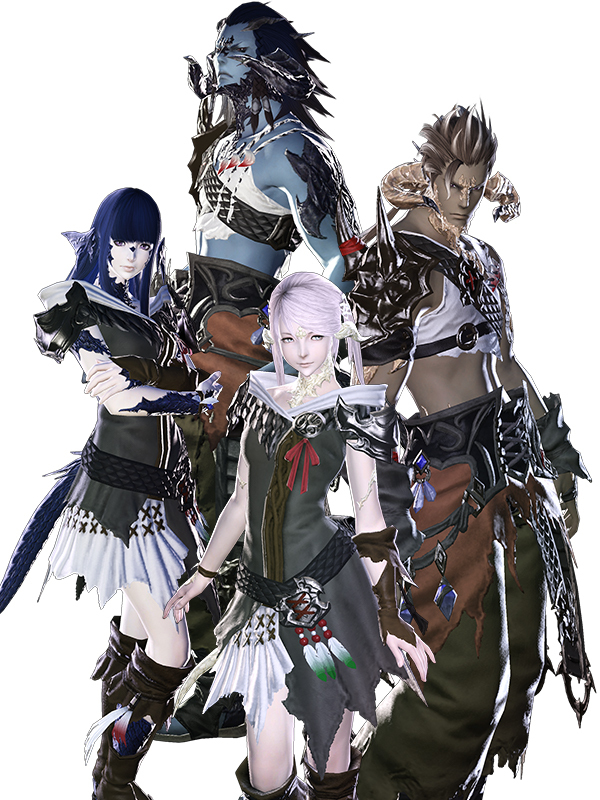 Known also as "Paragons," these malevolent, black-robed figures sow the seeds of conflict across the lands of Eorzea. 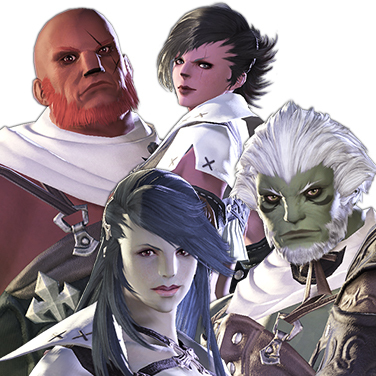 Just as their faces are concealed by sinister masks, the true motives of the Ascians remain obscured behind veils of secrecy and terror.